My name is Ken Taya and professionally I'm a video game artist who has worked on notable titles such as Halo 3, Halo ODST, Halo Reach, Scribblenauts Unlimited, and Scribblenauts Unmasked. I've been making games for over 13 years, and it has been an extremely rewarding career. On the side I started ENFU making prints, leggings, hats, CS:GO stickers, CS:GO gun skins, the list goes on. I draw constantly. Enjoy my stream of content now, long before they become products. Patreon is great for people producing a stream of content. 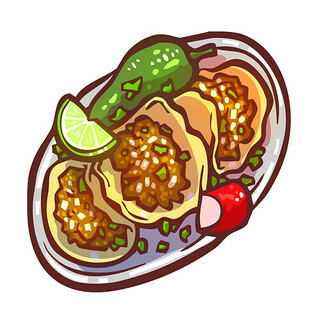 I draw almost daily, and produce cute little illustrations, I've already produced 3,000+. Sometimes these items become products (like my sticker chat app), and sometimes they don't. But with Patreon I can choose to stream this content as it's being made, giving patrons access to all drawings whether or not they become something or not. Here is an example of a step by step Gif of an illustration, my chibi illustrations, and timelapse video of an illustration. I'm also co-creator of ENFUSOFT, a complex pattern maker. I post on Instagram, Facebook, and Twitter, but usually only finished products or announcements, Patreon will allow me to post the stream of content I've always wanted to share. So if you get a lot out of watching a bunch of cute little illustrations being made like the one below, then this Patreon is for you. Access to my activity feed which includes all my black and white sketch line works of all my cute illustrations as I make them. Feel free to color them in yourselves! Access to full color finished illustrations as I make them way before they become full products. 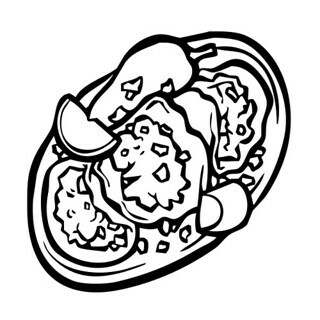 1) First access to my videos and/or gifs showing me draw each little illustration. These future YouTube links will be private links only available to Patrons. They will eventually be released to the public, but as a patron, you will enjoy months of exclusive access to drawing demos like these. I've amassed a library of 3,000+ little illustrations like these already, and plan on making more. So there will be no shortage of stuff you can watch! 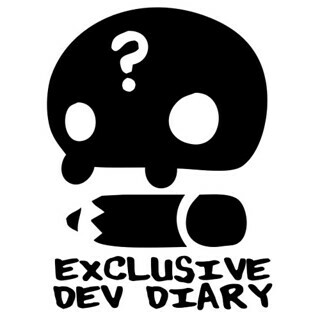 2) You will also get to see my posts of my dev diary, revealing more of the incubating projects I'm working on. These projects typically take half a year to sometimes 3 years. Which means as a patron you'll get more insight and transparency from what will come next from me. Would you like to see my works in progress of projects such as my new plushies? What about insight in the games/apps/software I'm making? I'm inviting you to partake in my exploration. This tier by design has the most content, and I hope these will be useful for aspiring artists, teachers, fellow illustrators, indie game devs, and fellow makers and tinkerers like yourself! If you enjoy them please invite your friends to join you in being a patron! I'm just getting this Patreon started, so I could use all the help I can get from all of you. When this goal is reached I'll send each patron getting me here a link for some Patron exclusive desktop wallpapers!